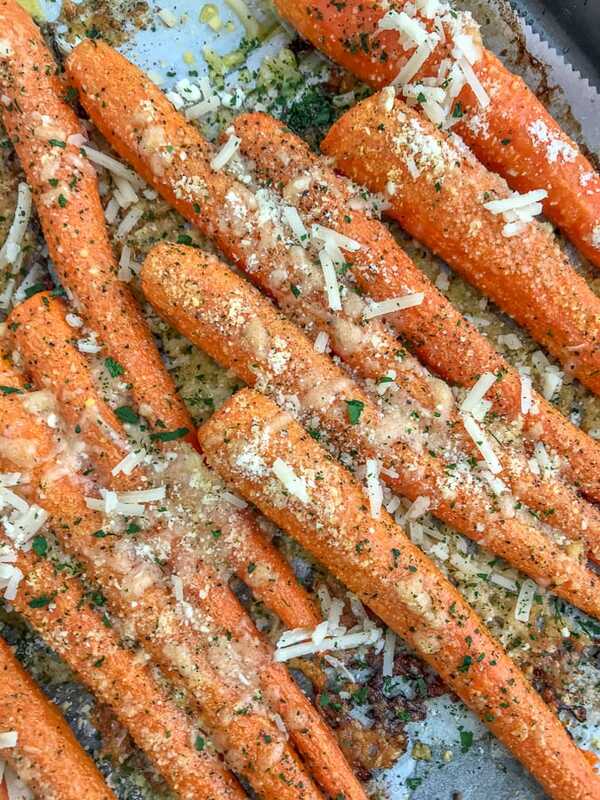 Garlic Butter Parmesan Roasted Carrots – tender, sweet, and delicious carrots that are drizzled in garlic, butter, and parmesan cheese. 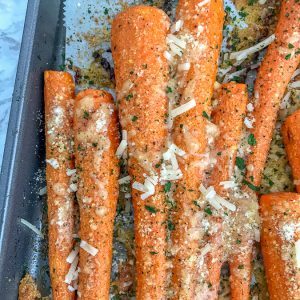 These roasted carrots make an excellent side dish to any meal – even your upcoming holiday dishes! An easy 10-minute prep while the oven does the rest! Wash and peel the carrots. Snip off the ends, if needed. Melt butter over medium-heat, add garlic and cook until fragrant – approximately 1 minute. Remove from heat and stir in salt, pepper, and onion powder. 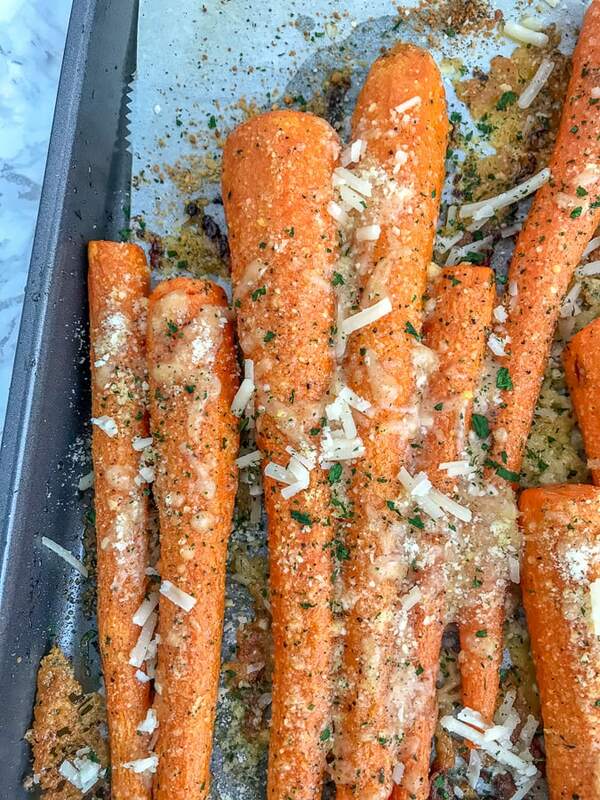 You can drizzle over the carrots on a prepared baking sheet, toss them together to combine, or brush the butter mixture over. I find that it’s easier and more thorough to brush it over. Bake at 425F for 20-25 minutes, removing halfway to stir and add parmesan cheese. Remove, garnish with additional parmesan cheese (if desired) and freshly chopped parsley.→ It’s that simple! Garlic and Lime Cauliflower Rice – Swap out regular rice for this healthier option! A great way to increase your vegetable intake while decreasing your calorie and carb intake if you were to have traditional rice. A super simple, flavorful dish that takes little effort or time to make. 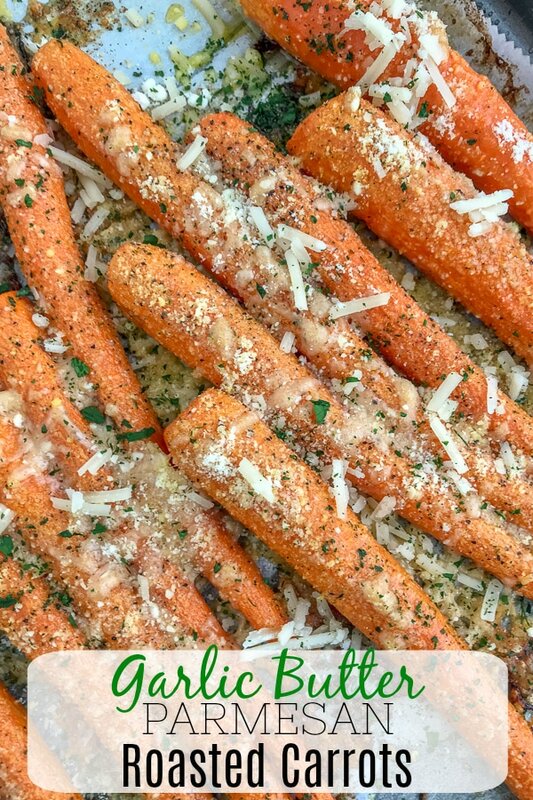 Tender, delicious carrots topped with garlic butter, seasonings, and parmesan cheese. 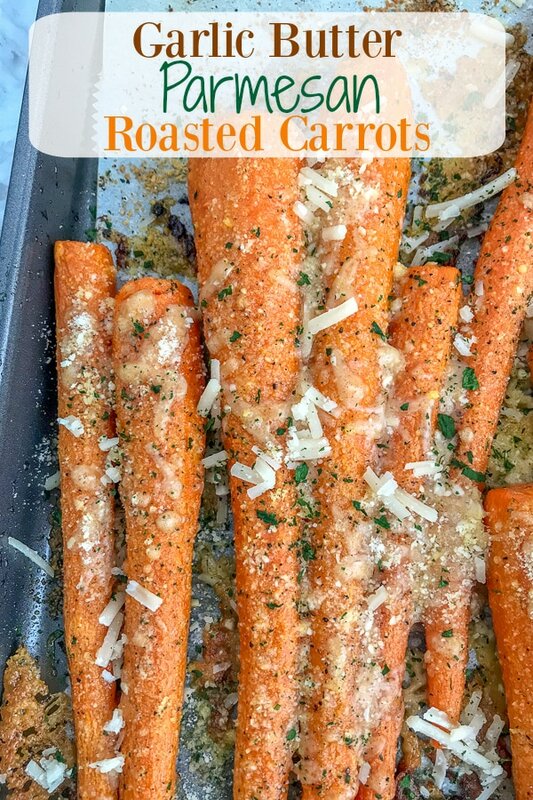 Makes for the perfect side dish to any meal! Preheat oven to 425 degrees F. Prep a baking sheet by either spraying it with nonstick cooking spray or lining it with parchment paper. Place a medium pan over medium heat with the butter. Once melted, add the minced garlic and cook until fragrant - approximately 1-2 minutes. Remove from heat promptly. Add in the salt, pepper, and onion powder and stir to combine. 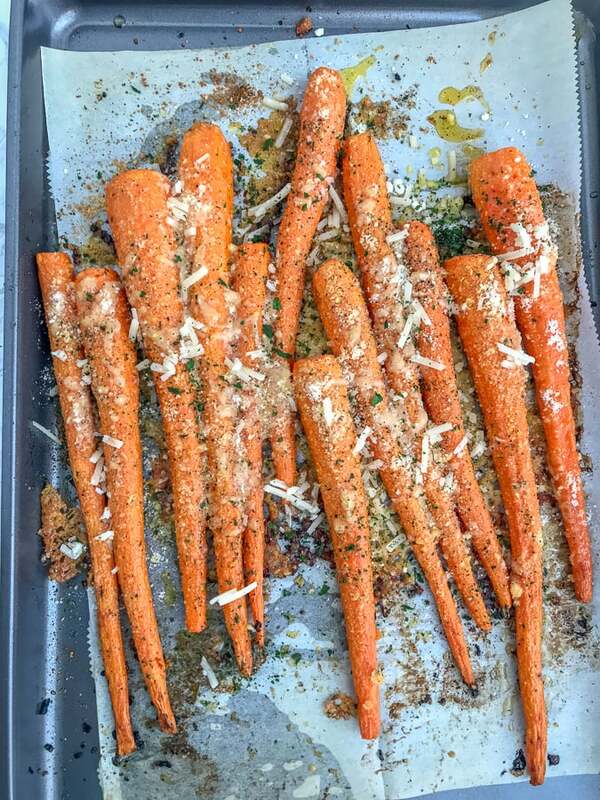 Brush the butter mixture over, rolling the carrots to throughly coat. Bake for 15 minutes, remove to stir and add parmesan cheese. Bake an additional 10-15 minutes. Time will be dependent on how well done you prefer them to be, as well as how thick or thin your carrots are. Sizes do vary. Remove from oven, transfer to a serving dish, and garnish with additional parmesan cheese, as well as freshly chopped parsley.